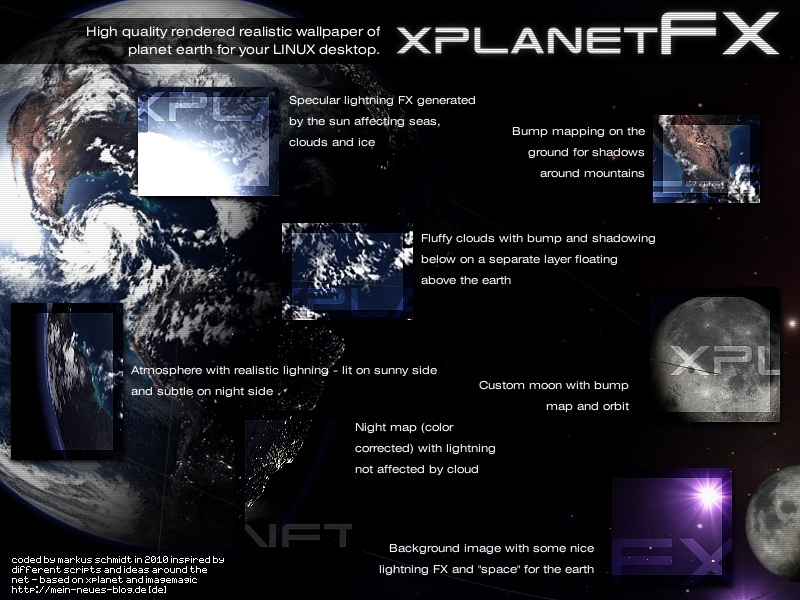 XplanetFX is a daemon for rendering high quality views of mother earth as wallpaper in real-time (sun, moon and clouds). It comes with a handy GTK interface but is fully usable under CLI. Here is how the XplanetFX GUI looks like. 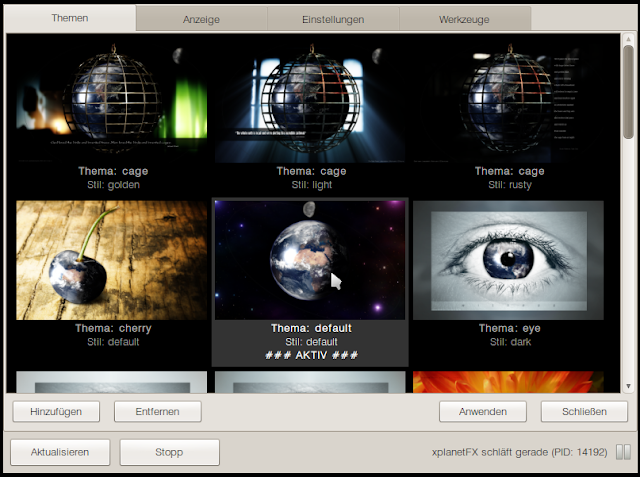 Though there is an option in the XplanetFX GUI to download new themes online, it is somehow not working for me. I am not sure if this is an isolated issue or not. But apart from that, XplanetFX works like a charm. 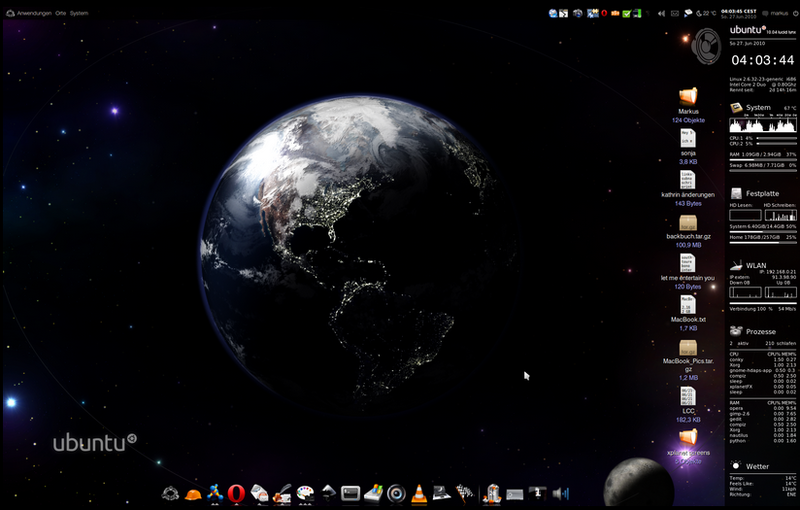 Real time wallpaper is displayed neatly in my Ubuntu desktop without a hitch. Here are some screenshots with XplanetFX application running. These scrrenshots depicts the default theme of XplanetFX, but I would really like to explore the other themes also which were not available for some reason at the time of writing this article. You can find more such screenshots and other information from XplanetFX website. XplanetFX depends on xplanet and imagemagick and is available for download as DEB, RPM (untested) and TAR.GZ file formats. The GUI uses pygtk and cairo. 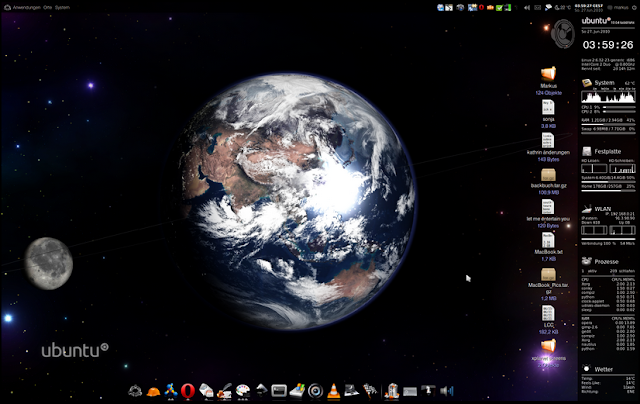 Download latest XplanetFX DEB package if you are using Ubuntu. Simply double click to install it. Untested RPM packages are also available for download. Follow the same link as above. Thanks to our reader John Mead for the tip. If you want to contribute a tip or even better an article itself, please don't hesitate to use our Conatct Us page.